Do Home Equity Lines (HELOC) Typically Have Prepayment Penalties? Many HELOCs don't have prepayment penalties. 1. How Much Equity Do You Need for a Reverse Mortgage? 2. Does Making a Large Loan Payment Decrease the Finance Charges? 3. Which Loan Origination Fees Are Tax Deductible? Home equity lines of credit, commonly called HELOCs, do not typically have prepayment penalties. However, some HELOCs do have such penalties, similar to many first mortgage loans. 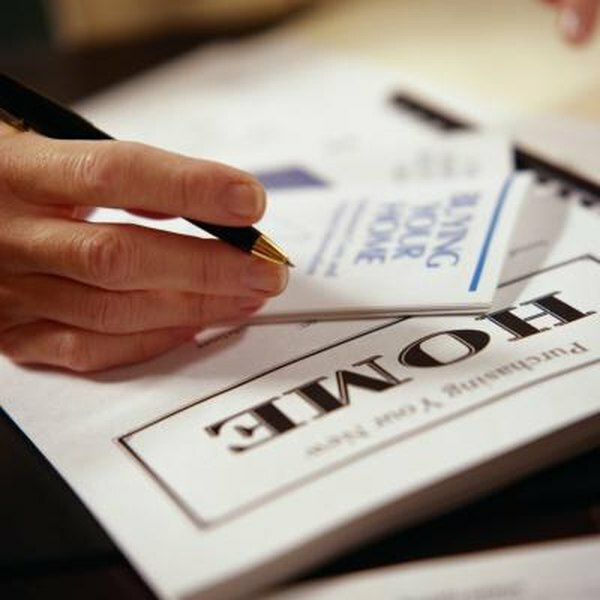 Other HELOCs have penalties that are due if you close your credit line early. These are designed to "recapture" loan closing costs that your lender waived when you got your credit line. HELOCs also might have charges for closing your line in the first few years, called early closure fees, which are a form of prepayment penalty. Home equity lines of credit first become popular in the early 1980s. Originally, some were totally open-ended loans, like credit cards. However, some states, like Maryland, had laws that real estate-secured loans could not have a zero balance without the lender discharging the lien. In these cases, state legislatures had to revamp local laws to legalize HELOCs. Still other states prohibited mortgages that had no term, leaving open-ended loans illegal. Home equity lines had to be written with a payoff date to be a legal lien, generating some prepayment penalties. Although HELOCs do not typically have traditional prepayment penalties, many come with so-called early closure fees. Simply put, if you open a home equity credit line, then pay it down to zero and close it before the period specified in your HELOC note and agreement, you may be charged an early closure fee. Many lenders structure this fee like a multi-year cell phone contract, including a similar charge, often around $300 for early payoff, regardless of your balance. Many lenders attract borrowers by offering no-closing-cost home equity credit lines. Instead of classic prepayment penalties, these lenders sometimes insert language in the loan agreement that allows them to recapture closing cost fees from HELOC borrowers who close their credit line within a specified period, often within two years after the loan begins. Lenders might document the waived closing costs or charge a flat fee that approximates the original costs. Should you get a HELOC with a prepayment penalty, it could restrict your ability to refinance your home. For example, if you've only had your HELOC for a short time, within a prepayment penalty period, the penalty cost might be prohibitive to close a refinance of both your first mortgage and the HELOC. Depending on the mortgage you want, your combined loan-to-value ratio, adding your first mortgage balance plus your credit limit on your HELOC, regardless of your outstanding balance, might leave too little equity to qualify for the refinance. Federal Reserve Board: What You Should Know About Home Equity Lines of Credit.